In the green woods of Silver Falls, Oregon, Aaron Hallam, a trained assassin AWOL from the Special Forces, keeps his own brand of wildlife vigil. After brutally slaying four deer hunters in the area, FBI Special Agent Abby Durrell turns to L.T. Bonham-- the one man who may be able to stop him. At first L.T. resists the mission. Snug in retirement, he's closed off to his past, the years he spent in the Special Forces training soldiers to become skilled murderers. But when he realizes that these recent slayings are the work of a man he trained, he feels obligated to stop him. Accepting the assignment under the condition that he works alone, L.T. enters the woods, unarmed--plagued by memories of his best student and riddled with gulit for not responding to Aaron's tortured letters to him as he began to slip over the edge of sanity. Furious as he is with his former mentor for ignoring his pleas for help, Aaron knows that he and L.T. share a tragic bond that is unbreakable. And, even as they go into their final combat against each other, neither can say with certainty who is the hunted and who is the hunter. 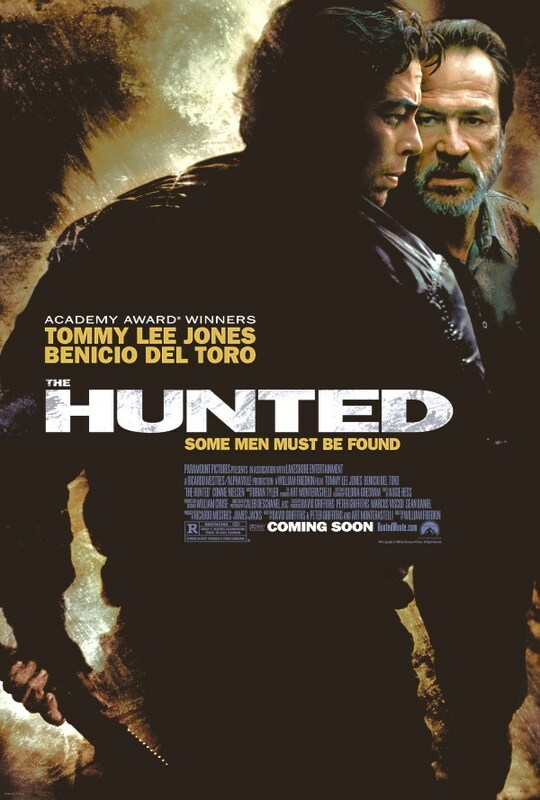 Starring Tommy Lee Jones and Benicio Del Toro, The Hunted is a story of an elite, decorated ex-solder that slowly lets the pressures and pains of combat break him down mentally, lowering his better judgment and driving him to the edge of sanity. 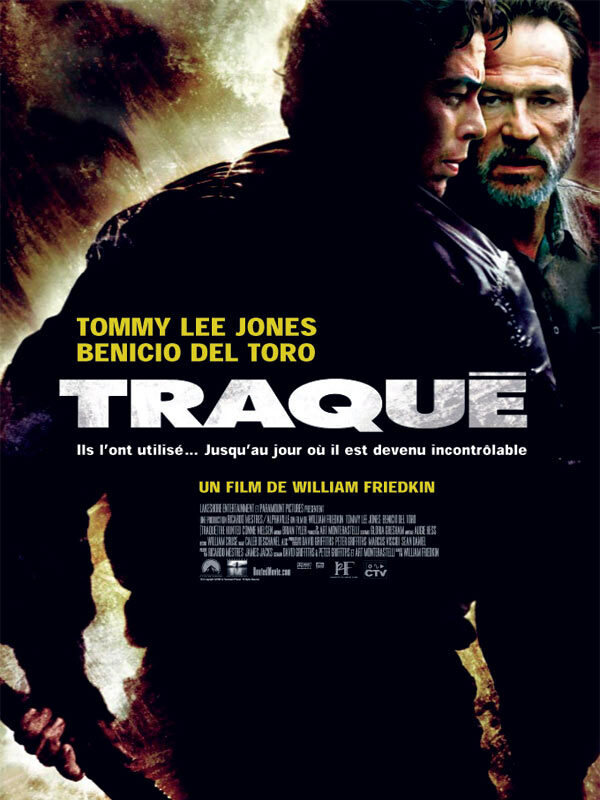 Del Toro plays this title role as Aaron Hallam, the assassin that is caught in between a world of reason, revenge and reckoning. Jones, as L.T. Bonham, plays the role of an ex-Special Forces Special Training Agent and former mentor to Hallam. 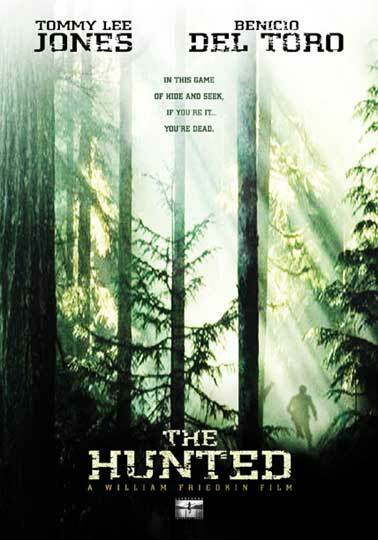 When Hallam goes on a killing spree, brutally taking the lives of four deer hunters in Oregon, FBI Special Agent Abby Durrell, played by Connie Nielsen, seeks Bonham for help bringing Hallam to justice. Bonham reluctantly accepts the mission, but does so because he essentially made Hallam the way he is now, a stealth, ruthless killer. Thus, the hunter becomes the hunted! 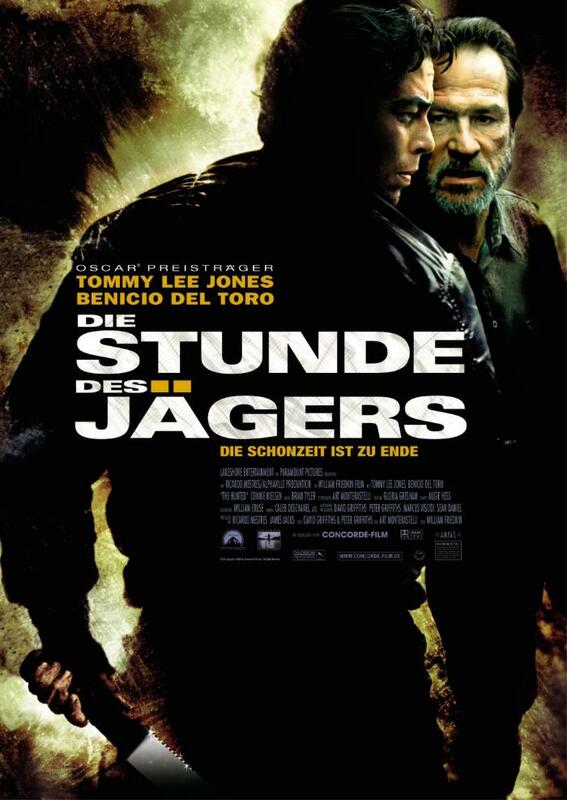 While there aren't too many plot twists in this tale, Tommy Lee Jones and Benicio Del Toro give better-than-average performances that are slim on dialogue and plentiful in action. The directing by William Friedkin (The Exorcist and To Live and Die in L.A.) is also quite chilling and scenic. 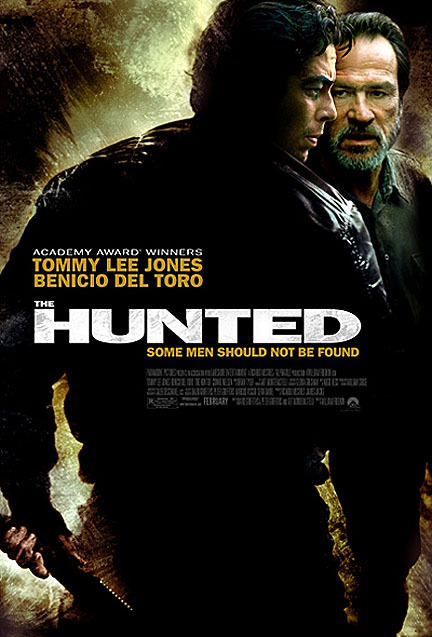 While The Hunted won't be winning any major awards, its certainly worth a look.